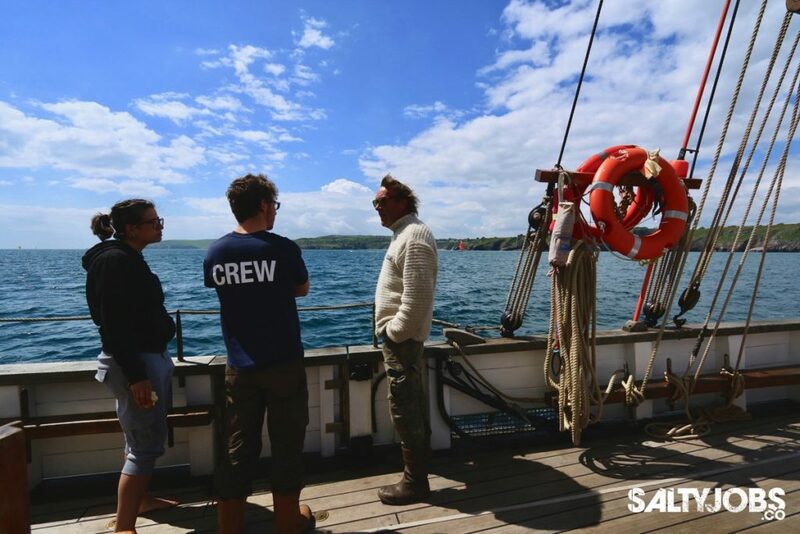 The SaltyJobs ethos is to inspire work in the marine industry, and a way we do this is by sharing industry knowledge with you. These articles are a way for us to inspire your dreams to work in and around this industry, and we share tips & tricks to help you get into this salty world. From the superyachts of the south of France, to the catamaran charters of the Caribbean and the pilot cutters of the Bristol Channel, there are many niches in the marine industry across the world. One of our favourite and one which we have been lucky to stumble into, is the traditional sailing world. If it piques your interest as well, then we understand. There’s something magical about sailing along on a vessel over 100 years old and made from trees. And a certain sense of camaraderie built upon lots of two-six-heaving, and it definitely takes a certain type of sailor to spend just as much time in the boatyard as out on the water. And that’s in a good year. It’s awesome, but only once you know about it and you make friends in it, and have found your ‘way in’. Traditional boat world certainly can have a reputation for being quite hard to get into. 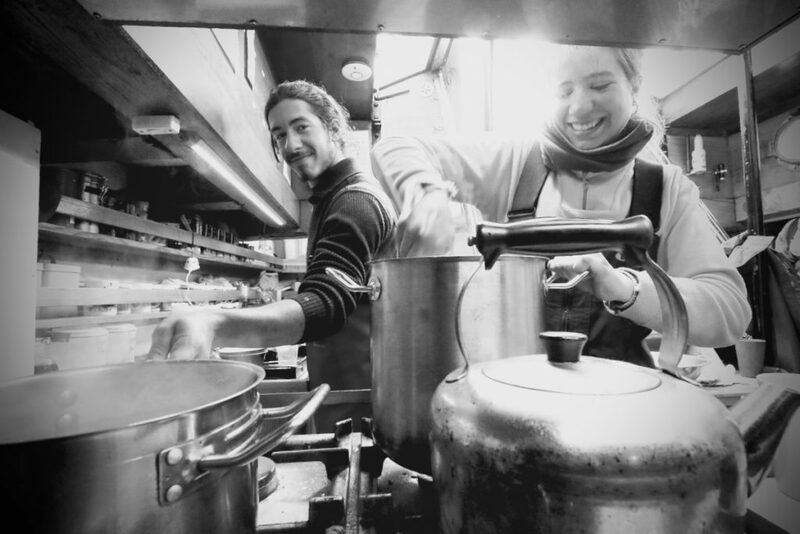 Much like you might imagine the Mediterranean Classics scene, many opportunities are filled by word-of-mouth. But this doesn’t always work and organisations struggle to fill their roles, whilst many sailors don’t even know about some of the opportunities that go on out there outside of their salty cliques. So that’s why SaltyJobs was born. And now we want to share it all with you, hopefully to help give you a way in to this awesome little world. 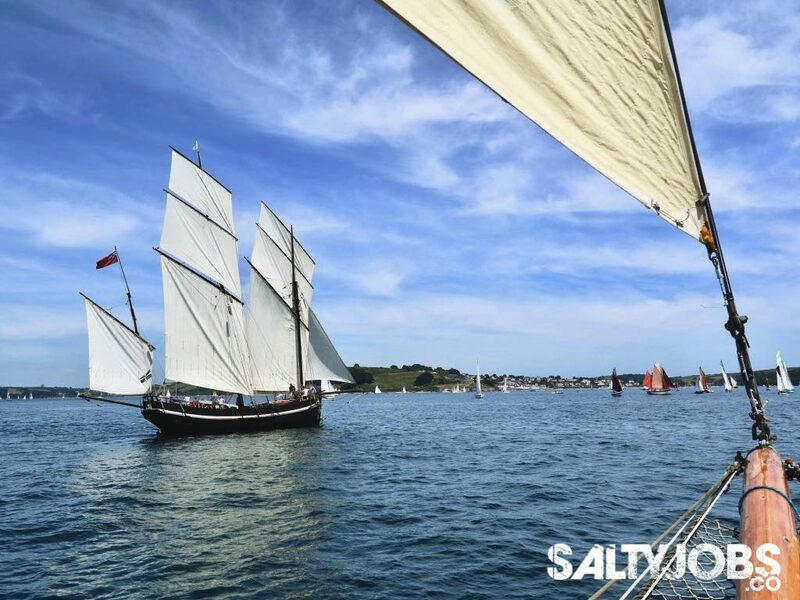 Traditional vessels are popular with some sail training charities, who see the teamwork required from large gaff rigs an added benefit for their trainee crew. Because these organisations are charities, they also often welcome volunteers and/or relief crew. Not only this, but if you’re totally passionate and dedicated to sail training, then you can apply for bursaries such as the ASTO/Trinity House scheme to support your professional RYA & MCA qualifications. If you already have some good sailing experience and qualifications such as your STCW and RYA PB L2, you could look for a position – perhaps voluntary to start with – as a deckhand on a tall ship. If you’re moving from a more commercial route, deck officer qualifications could see you use your engineering skills onboard a large tall ship and pick up the traditional side of it that way. Check out this story of a SaltyJobs member who did just that. We work with a number of tall ships to promote opportunities, like this recent popular deckhand role onboard Kaskelot, so keep in touch for more (or get in touch if you’re a ship looking to recruit). 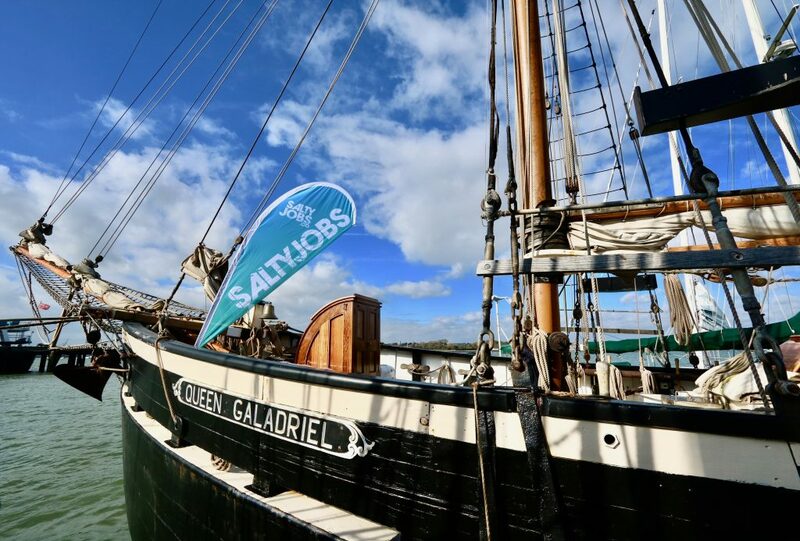 We are lucky to have a fantastic organisation, National Historic Ships UK, representing our nation’s heritage vessels (and signed up as a SaltyJobs Employer Member). We recently helped them recruit x8 roles across their Traditional Seafarer and Museum Shipkeeping Shipshape Traineeships. National Historic Ships UK also run other initiatives, including a photography competition and volunteer awards, which could be worth exploring if you’re interested in working on & around historic vessels. Increasingly popular, sail cargo is developing around the world. Not only does it provide a sustainable transport link across oceans, but it provides personal development opportunities for the crew onboard. Many sail cargo vessels welcome experienced volunteers, or members of the public can sign on (and pay) as working passage crew. It’s a great way to see if it’s for you, and perhaps make some friends within the industry who could help point you further. 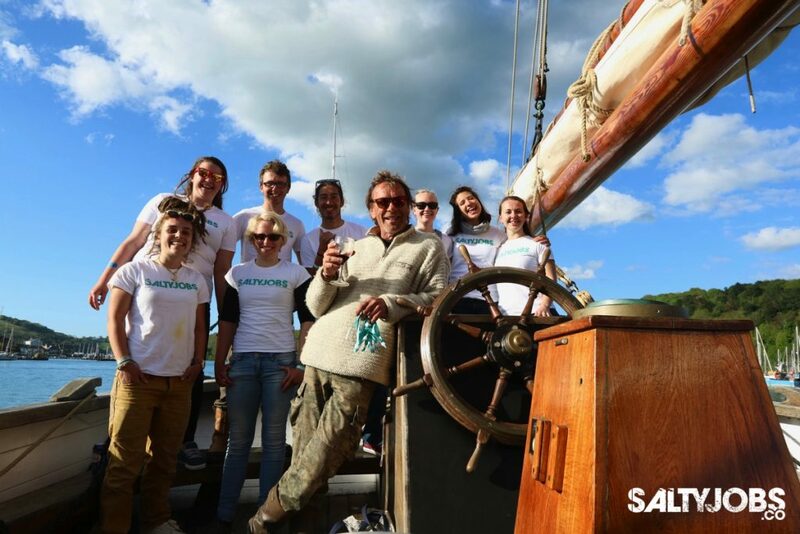 It’s fun too, and the possibilities are endless – we even managed to sail cargo a salty t-shirt across the Atlantic. Grayhound from the bow of Jan Rorlan, racing during Falmouth Classics 2018. Some traditional vessels operate as charities and offer short, two-day voyages for members of the public, with income going towards upkeep of the vessel. 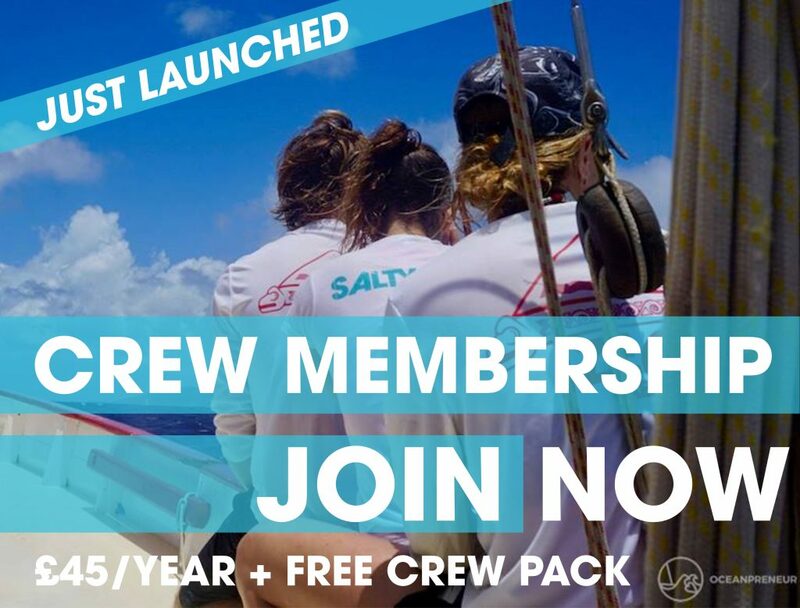 You can participate fully and become an active member of the crew, sailing & helming the vessel. Use it as an opportunity to pick the crews’ brains for industry insights or ask about voluntary or paid positions within their organisation or further afield. We’ll have more on these opportunities coming soon. If you want to work on a traditional vessel at sea, you’ll still need the usual commercial certifications. This doesn’t mean all of your training has to take place on the modern sailing school boats people usually train on. Some organisations (mostly sail training charities) now offer practical RYA courses such as Competent Crew and Day Skipper onboard smaller traditional vessels. Most Yachtmasters have never sailed on a gaff rig, so having this experience early on will put you at an advantage over other candidates. Again, more coming soon. 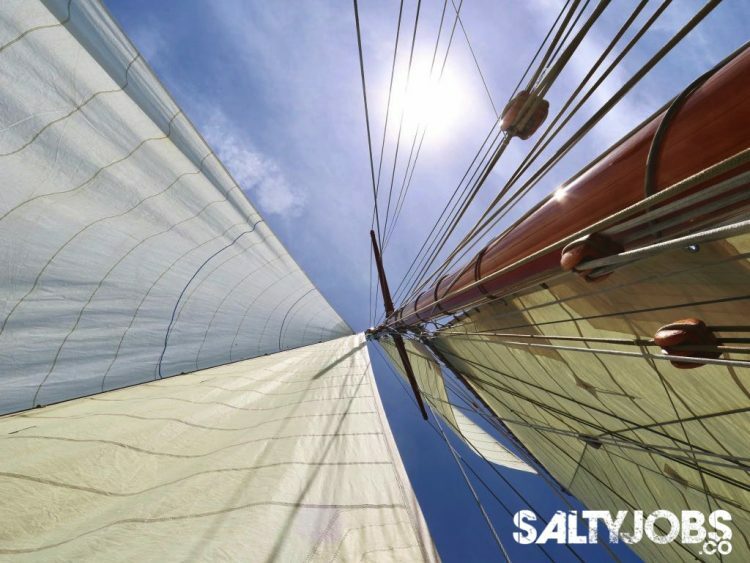 SaltyJobs onboard Trinity Sailing’s trawler Leader. Traditional sailing isn’t just about being out on the water. There are many aspects of the industry which take place ashore – from boat building to managing tall ships. You could choose to study traditional boat building, or take a Marine Studies degree and find a placement with a traditional sailing organisation. Once you’re enrolled, the college may be able to help you find a suitable placement (or speak to us). 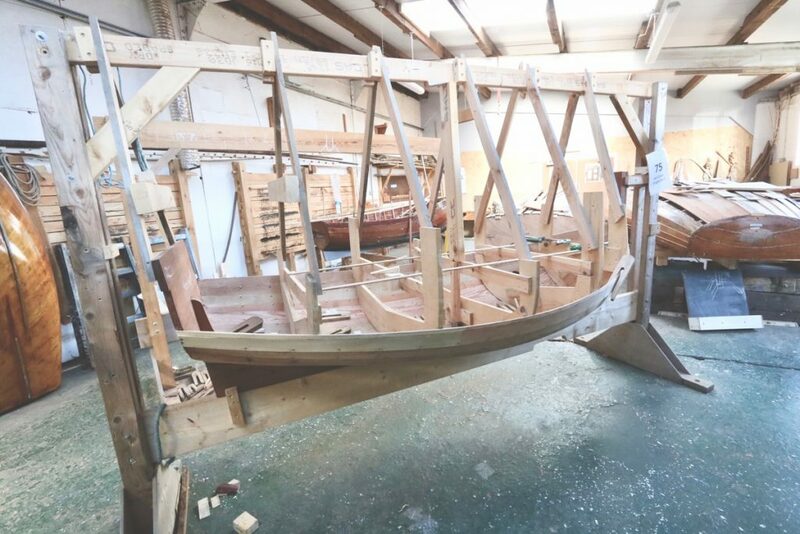 If you want to stay within the practical side of the industry and are already qualified, you could apply for a shorebased role like the current opportunity at Cockwells as a Boat Builder. Or, you could look for an apprenticeship or training program such as the National Historic Ships UK Shipshape traineeships mentioned above. Boat building at IBTC Lowestoft, as part of our Salty Weekend partnership with the college. Seen a boat you like the look of? An organisation you’d like to work with? If you don’t ask, you don’t get. From our perspective, you’d be surprised at how few people take the initiative to make a well thought-out approach or similar proposal. Make your own opportunity, stand out for the right reasons and you’re in with a good chance. 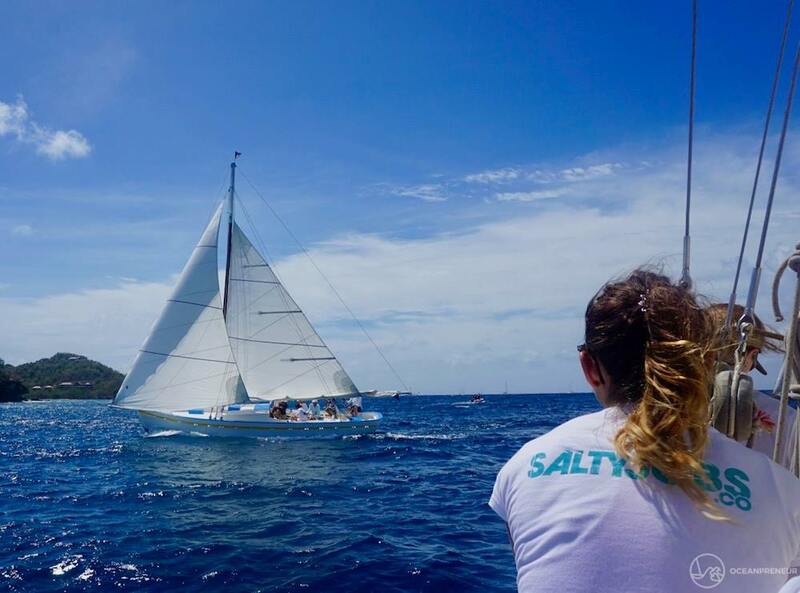 Thanks to Oceanpreneur for this amazing photo of Magali racing at Antigua Classics on traditional Carriacou sloops, wearing her sail cargo salty t-shirt. There are always other ways in – and many of the salty sailors you might end up meeting will certainly have a tale to tell about how they ended up where they are. Think of alternative ways you might be able to make a connection. For example: maritime festivals. Boats are often looking for crew to travel to them and they’re a great place to meet like-minded people. Perhaps there is one local to you? 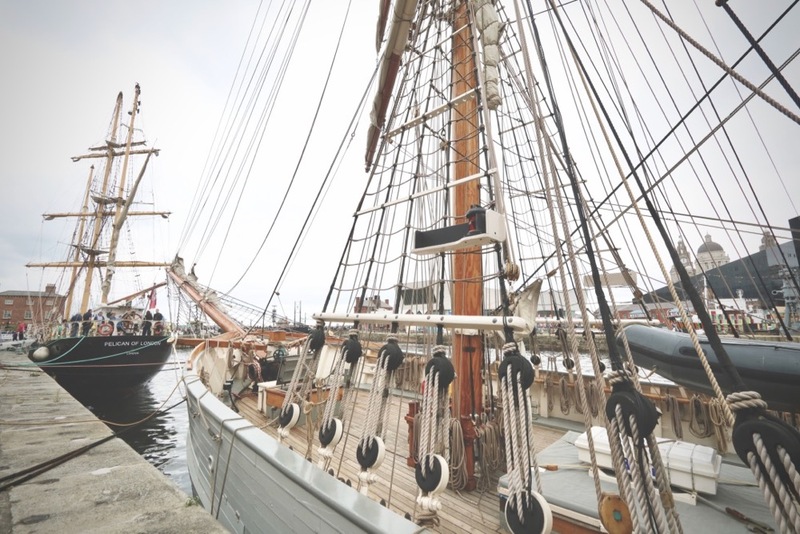 The UK hosts many tall ship & maritime festivals at its harbours. Alternatively, how about using existing skills and experience you have, but taking them to sea? For example, there’s always room for a cook onboard, or somebody who knows their way around a marine electrics system. Even a seamstress could make a side step to sail repair on a tall ship. Have you got any tips we’ve missed? Or have you already had some experiences you could share? Leave a comment below & get in touch. 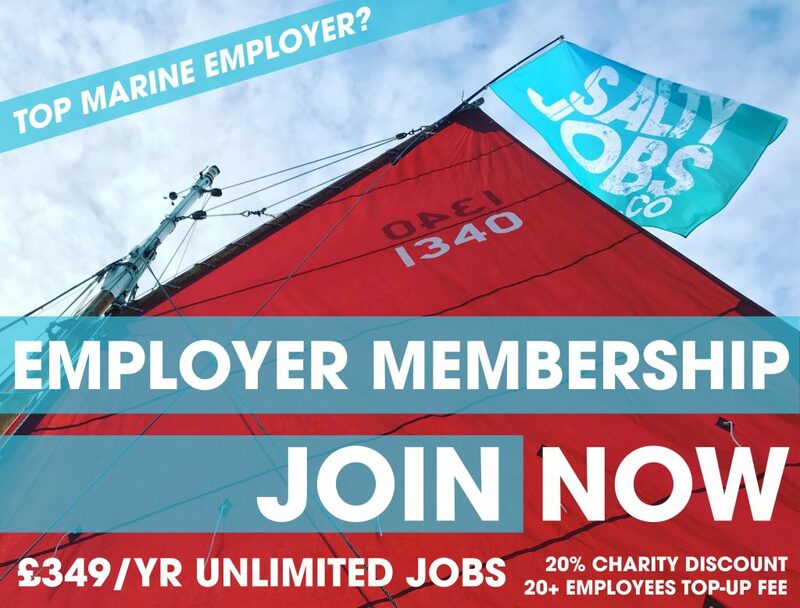 We work with top marine industry employers to bring you opportunities to fulfil your dreams – and you might have noticed, we’re particularly passionate about traditional sailing.